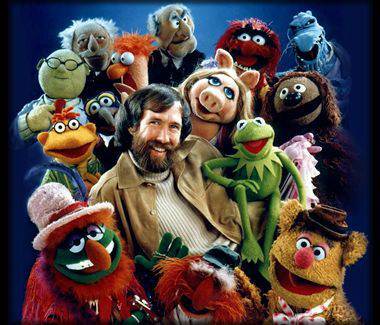 Muppets creator Jim Henson would have turned 75 today. We lost Mr. Henson on May 16, 1990. He died suddenly (of a bacterial infection) and too soon. Although I'm often saddened by the death of a celebrity, I have very rarely cried at the news. I cried when I heard about Jim Henson's death. Because it wasn't just an infinitely gentle and talented performer who passed away. It was Kermit the Frog. It was Ernie. It was Rowlf the Dog and the Swedish Chef. The world and I lost so many cherished friends that day. And we never had a chance to say good-bye. Although the Muppets have carried on, it's hard to imagine what wonders Jim Henson could have worked had he stayed with us longer. I have no doubt that at 75, he'd still be creating, putting his unique stamp on those remarkable felt-and-fur critters who taught me everything from the alphabet to the lyrics of "Cottleston Pie." He'd still be singing "Bein' Green." And still laughing and making us laugh. Another thing I rarely do is cry at YouTube videos. But I found this clip from Jim Henson's memorial service shortly after his death, and yeah, it got to me. Happy 75th birthday, Mr. Henson. I'll bet God is just tickled to have you in Heaven with Him. Your St. Peter impression probably cracks Him up. And thanks for Kermit. He rocks. You should put a disclaimer on today's blog that viewing the YouTube clip requires a box of tissues.